Step 3:Let the bleach soak in for a few hours, then wash and dry them. 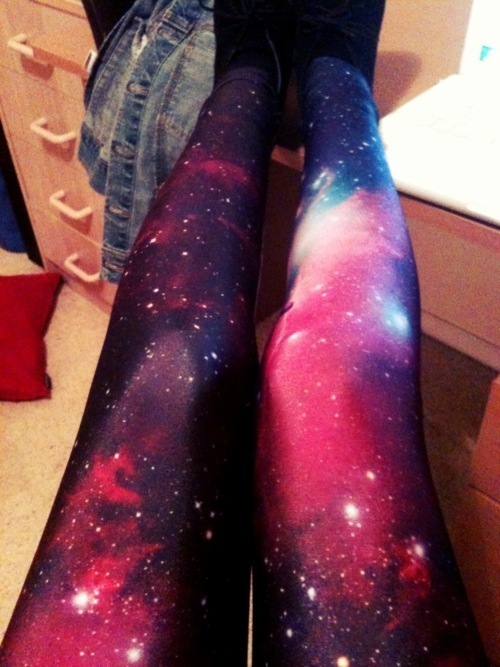 Step 8:Unscrew the top of your spray bottle, and flick bleach on your leggings to create stars. Step 10: Rock your new and improved leggings! I just wanna say that your website is very great. If you post more stuff like these, I’ll follow your site to read more interesting stuff. Thanks alot, I can always use more followers. Then why accept the first post saying these look amazing, when the above leggings are not your own.